Dehumidifiers are needed to control the level of humidity. This goes a long way in guaranteeing the safety and comfort of occupants. These appliances come in handy when you want to dry out damp or flooded rooms. Dehumidifiers are suitable for areas that experience high humidity. At times, rooms that are poorly insulated also experience dampness, and the growth of mold and mildew. This necessitates the use of these appliances. Considering the fact that the market is flooded with a countless number of commercial dehumidifiers, choosing one that works best for you can be quite challenging and distressing. It’s a good idea for you to review top products in the market, and gauge their suitability. This will help you purchase a model that suits you best. But thankfully, I’ve already done all the hard work for you! 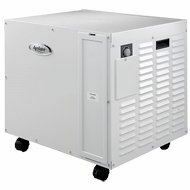 Impact Restoration Supply has made a name for itself by coming up with quality commercial dehumidifiers. The EcoDry Red Commercial Dehumidifier was undoubtedly designed with safety and comfort in mind. The appliance has a capacity of 110 pints at AHAM, and 210 pints when a room is fully saturated. Its control panel features an SD slot whose purpose is to record ambient air temperatures. There is also a job clock that helps you establish how good the appliance has been working. Compactness and portability are the most outstanding features of this device. It similarly has a strong load filter design, which allows easy replacement of the filter without necessarily risking a damaged filter grill. Power cables and drip lines can be stored in a specially designed compartment. This is a high-end dehumidifier, which is renowned for its performance. The unit has the capacity to absorb 200 pints of moisture per day. It is mostly used in health facilities, fitness centers, manufacturing plants, laboratories, and packing shops. It is particularly effective in areas that are experiencing water damage. It has a groundbreaking charcoal filtering system whose role is to control odors that are mostly caused by mildew and mold. BlueDri BD-100LGR also has climber wheels, an automatic pump out, high impact body design, and a user-friendly control panel. The dehumidifier absorbs up to 100 pints of water at AHAM. It is similarly stackable and can be used conveniently in any room. Its 25-foot power cable offers users an extended reach to several rooms. What’s more, the output port accepts virtually all ducting hoses. This makes dehumidification stress-free and efficient. This appliance is specially designed to absorb approximately 95 pints of moisture daily. It provides effective dehumidification for spaces measuring up to 5,000 square feet. The dehumidifier has a built-in control and display panel, which is used to monitor the performance of the entire system. This enables you to dehumidify rooms with ease. Mobility and portability are enhanced by built-in casters and the compact design of the device. Since it is noiseless, the appliance is comfortable to use in office premises, crawl spaces, and basements. This makes it highly versatile. Aprilaire 1850F has an operating temperature range of between 50 to 104 degrees. Its noise output is 60 db, while its Input Voltage is 120 V/ 60 Hz. Each unit weighs 70 pounds. The machine is engineered to keep large rooms dry and odor free. Being a high-end model, it is recommended for areas that are situated on high water tables, or near water bodies. It can also be effectively used to absorb air moisture in rooms that have groundwater seepage. Aprilaire 1850F maximizes energy efficiency even in rooms whose ambient temperature is lower than 45 degrees. Its remarkable filtration system helps filter dust and common allergens, thus making a room safe and healthy. The drain hose is susceptible to leaking with continued use. Most commercial dehumidifier reviews do not highlight all the inherent features of these devices. This explains why buyers need to read through several reviews before they choose a model that works best for you. 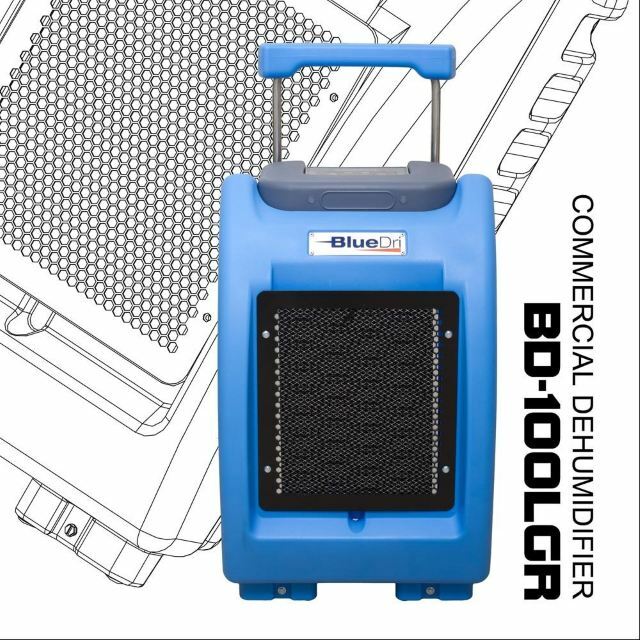 In this case, BlueDri BD-100LGR-BLUE Commercial Dehumidifier stands out as the best commercial grade dehumidifier due to its high-end performance, hands down. It can be used in different settings ranging from hospitals to office basements. Besides this, it is effective in rooms suffering from flooding and water damage, something that makes it stand out from the rest. The presence of a 25-foot power cord makes it convenient, too. 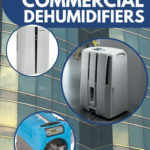 If you found this article helpful in choosing the best commercial dehumidifier for your needs, feel free to comment and share below! Dehumidifier vs AC: Which Is Better?